In order to enjoy and make the most of a Spanish course in Cuba, accommodation in Havana is important. It must be pleasant, comfortable and inspiring, the perfect place to rest and feel at home. – Private Apartment. We put at your disposal private apartments totally comfortable and equipped with all the comforts so that you feel like home. They have living room, kitchen, terrace, one or several rooms, according to your needs, all rooms with private bathroom and air conditioning. If you travel accompanied, either on a romantic trip or with your whole family, or just like to enjoy solitude and live more independently, this is your best option. You can live a unique experience and verify the comfort of our apartments. – Guest House with a Cuban family. 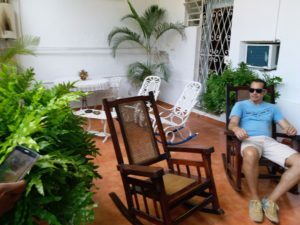 One of the privileges of learning Spanish in Cuba is to live with the Cubans in private homes for the accommodation of tourists. Living with Cuban families gives you the opportunity to feel like a member of the family, to practice Spanish and to know Cuban life. The guest houses are comfortable for your stay in them. Some have gardens or terraces on high floors to enjoy a beautiful view of the city. It allows to share the evening with friends after their Spanish lessons in Havana accompanied by a Mojito or a Cuba-libre. The rooms can be private or double (if you are accompanied). They have all the amenities (air conditioning, TV, refrigerator) and private bathroom. 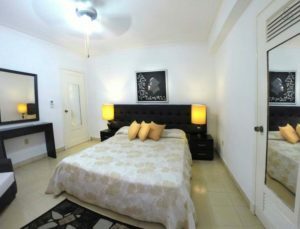 In both modalities (private apartment and guest house) the cleaning, refreshment and breakfast service is included. Our accommodations in Havana, both the guest houses and the private apartments are located in central places of Havana (Centro Habana, Vedado and Plaza de la Revolución), very close to the place where you will receive your Spanish lessons. They are safe areas of Havana (day and night). 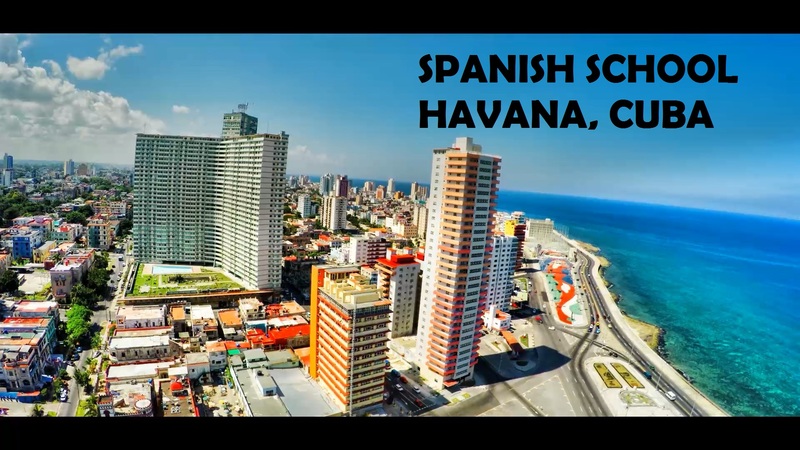 They are very close to interesting places like the Plaza de la Revolución, La Quinta de los Molinos, the famous Coopelia ice cream shop, Calle 23 (Havana’s most central and popular avenue), the Capri, Nacional and Habana Libre hotels and the famous Malecón Habanero. 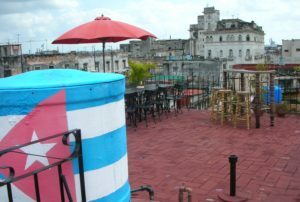 There are also good restaurants and typical Cuban bars for your enjoyment and free time. As well as, open places with WIFI Hotspot. And the East Beaches are only 20 minutes away by car. If it is your preference, you can arrive a few days before the start of your Spanish course in Cuba, to adapt to the place. 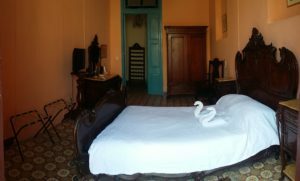 Once your course is finished, if you wish, you can stay as a guest in the accommodation in Havana, Cuba. You do not necessarily need to enroll in a Spanish course to reserve accommodation, you can be our guest without taking Spanish classes. The Havana airport is on the outskirts of the city, so you need a transport to get to your accommodation in Havana. Public transport in Cuba is not regular, so we recommend taking a private taxi at the airport. To make you feel more comfortable and safe you can request a taxi from the airport, the taxi driver will be waiting for you and will take you directly to your accommodation in Havana, where the owner of the house will give you a warm welcome. This service must request, at least, 2 days before your arrival in Havana. The cost of this service is not included in the course, is paid directly to the taxi driver and has a price of 30 or 40 cuc (Cuban currency), depending on the arrival time of your flight. (This price is standard; we do not charge extra for this service).